I’ve been loving the long trench coat trend. They seem to make any outfit seem a little more pulled together and sophisticated. I’ve been searching for one in blush, and I finally found the perfect one. The color of this one from Asos is perfect and I love how the front of it drapes. 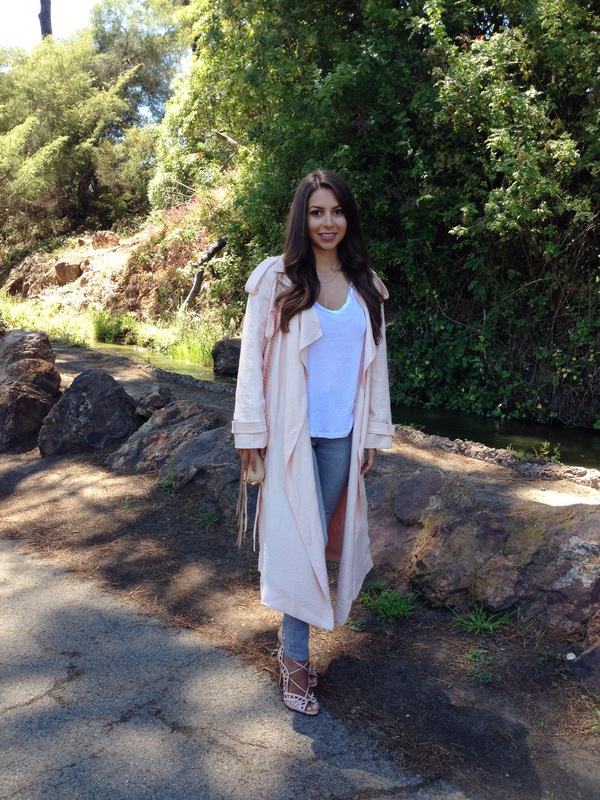 I let the coat be the star of the outfit by pairing it with neutral basics and my favorite shoes. I can’t get enough of these heels! Thank you! 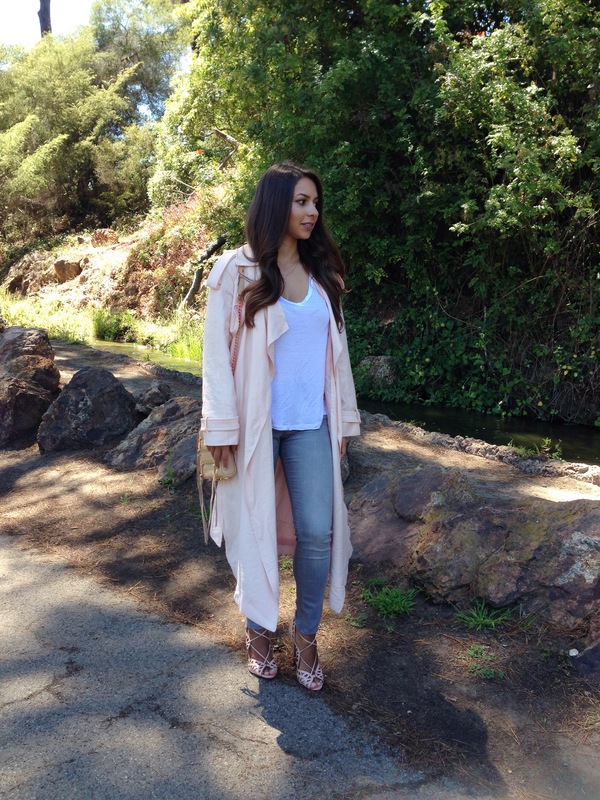 I’m so obsessed with this trench!